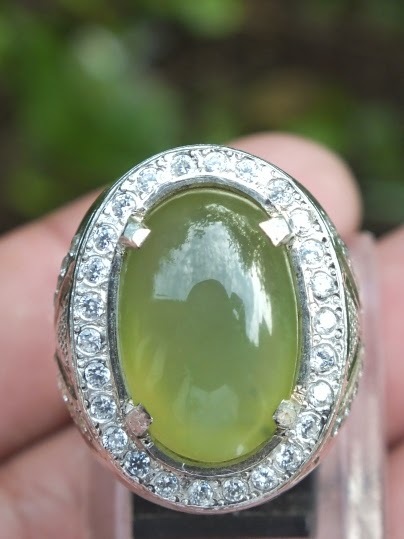 This is a very good quality Natural "Sungai Dare / Idocrase" set on an 15,5mm handmade silver ring. 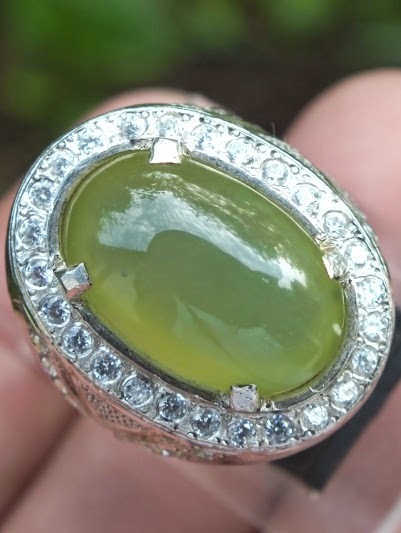 This gems is well-known as "the Jade of Sumatra". 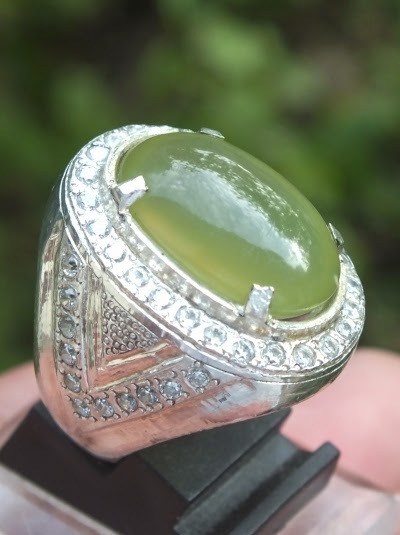 This is also the pride of Indonesian Precious Gemstone. Theris only one spot of white chalk inclusion on the corner. 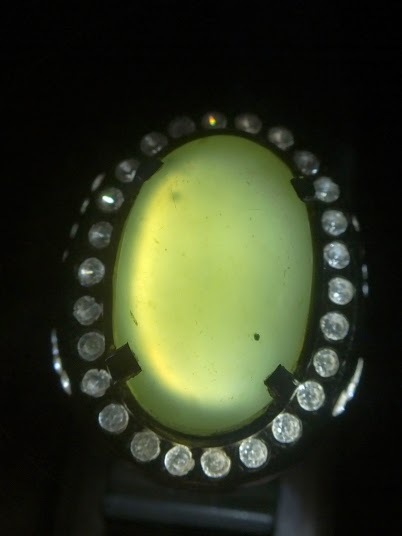 The size of this gems is (est) 18mm x 11,5mm x 7mm. Price: Rp. 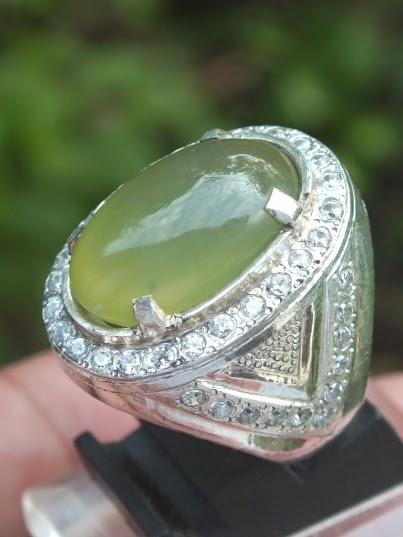 1,3jt,- shipping cost is included for Indonesia delivery areas only! A very beautiful Natural Idocrase! "Batu Sungai Dare"!